The majority of the external batteries/power banks/portable chargers out max out over USB Type-C at around 30-45W, with most actually stopping closer to 18W. 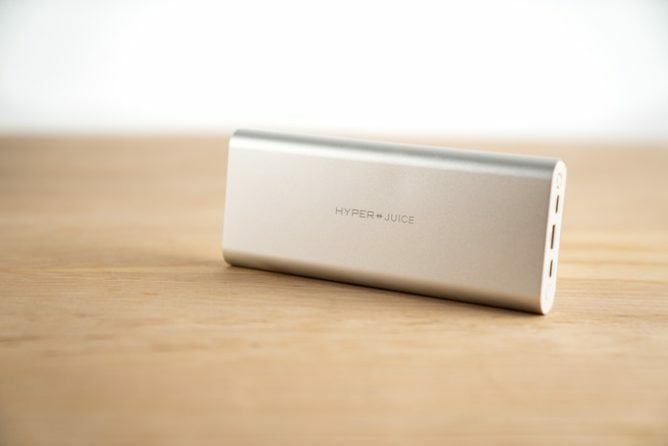 A few particularly expensive models can hit 60W, but a new Kickstarter project called HyperJuice promises an insane 100W over a single USB-C port, with 160W combined output across two. Initially, we feared that these numbers broke the USB Power Delivery specs, but the 3.0 revision does, in fact, support up to 100W output, we just haven't seen any batteries that have delivered so much power yet. Most of us interested in supplying that much power on the go have had to use batteries with AC outlets and corresponding high-wattage chargers — at least, up until now. In addition to the 2 USB-C ports — one 100W, one 60W — the HyperJuice has a single USB-A output delivering up to 18W and supporting Qualcomm's Quick Charge 3.0 spec. The company even claims it can be topped up at 100W in "about 1 hour," which is every bit as incredible. With 100W over USB-C and 160W total, you could simultaneously charge a 15" MacBook Pro and a 13" MacBook Pro, with quite a lot of endurance given the 27,000mAh capacity. The HyperJuice, when it exists, will also allegedly only weigh a bit over half a kilo at 550g (1.21 lbs). Like most generic travel batteries, current designs depict an aluminum enclosure capped at either end by plastic, with all the ports packed together along a single narrow edge — the ideal layout. 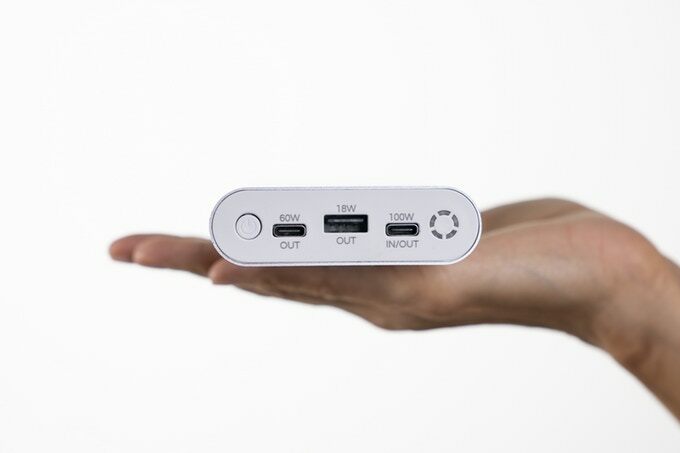 A lower-wattage 130W version of the battery was shown off at IFA, and Hyper, the company behind it, has an extensive record of success on Kickstarter as well as plenty of other products on its site. That all combines to mean the HyperJuice may actually end up existing, unlike so many other Kickstarter promises. At the time of writing, the HyperJuice is at $183,244 pledged of a $100,000 goal, so the project is already funded and expected to happen. So-called Early Bird pricing is still available at $149 per unit, half off of the advertised (and unlikely) $300 MSRP, with an estimated December ship date. Earlier November units have already sold out. Latecomers will pay $179, and there are early and standard combinations for two, three, five, and ten unit combos that follow the same pricing structure.